Towards the end of Delhi Dynamos’ draw with NorthEast United FC, it was revealed that 27,463 people were in attendance for the match. 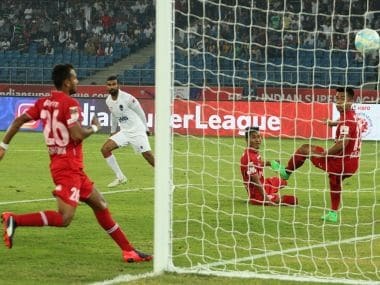 It was an unusually high number for an ISL game in the capital; the city’s reputation for low-crowds has existed for a while. With good reason as well. The anomaly was down to the large contingent of NEUFC’s fans who turned up in good, cheerful voice. It took the equaliser in the second half for Dynamos’ alienation to be formalised. No longer did the Jawaharlal Nehru Stadium feel like a home venue for Gianluca Zambrotta’s side. The away fans got louder, noisier and chirpier. It was the kind of scene one hardly ever associates with the Nehru Stadium. One sensed Dynamos became aware of the pressure; the players reacted to it. Initially, they did not react too well. The 15 minutes following NEUFC’s goal saw a stream of attacks from the visiting side. Dynamos could have wilted in that period of play but the resistance was fought off. It was also a phase, though, which could have allowed the host to seal three points. Two one-on-one situations were fluffed by striker Richard Gadze. In his post-match comments, NEUFC manager Nelo Vingada argued that Saturday’s match was the best of the current edition. “This game could be good in any league, especially in Asia,” he added. 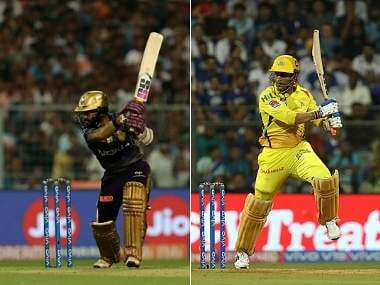 Indeed, the energy and pace at which the contest was played meant that there were more than a few entertaining exchanges. If anything, the blemishes were left by the goals. 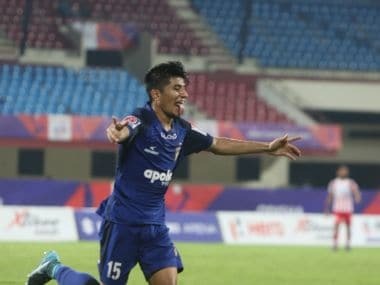 Dynamos’ strike was a result of a goalkeeping error; NEUFC’s strike was a result of a rare mistake by Ruben Gonzalez which allowed Nico Velez to nip in and set up Emiliano Alfaro . Indeed, it must worry Zambrotta that his most reliable defender delivered an iffy performance. In addition to his error, Gonzalez made other missteps for which he was fortunately spared. Faced with a side which plays at a higher tempo, Zambrotta had chosen to inject pace in his side. For the second time in three matches, Florent Malouda was benched and Emerson Moura took his place. Zambrotta refuted there are any fitness worries surrounding the marquee player, describing the decision as purely tactical. Another strategic intervention before the match by the Italian manager saw Gadze replace Badara Badji. 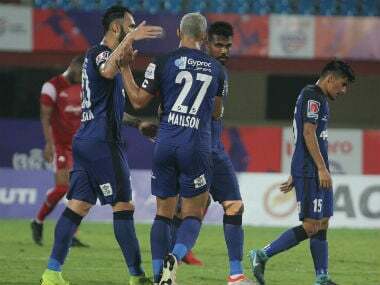 This meant that Dynamos fielded the same side that had surprised Chennaiyin in the season-opener, barring the injured Anas Edathodika. Gadze’s addition was on account of his greater pace, at the expense of Badji’s physically imposing frame. After the match, Zambrotta was keen to stress a horses for courses approach. Indeed, it does seem that the Italian manager will aim to stick to the plan that has worked well enough for him till now. He has a core of players he trusts and there will not be a lot of chopping and changing. Of course, a hectic period beckons Dynamos and tiredness may force Zambrotta’s hands. One player who seems likely to maintain his place in the side for the foreseeable future, though, is Kean Lewis. The 24-year-old has been a revelation for Dynamos this season. Three games into the campaign, he has already scored a goal and could easily have had more than one. It is only Lewis’ wastefulness that is holding him back at the moment. The young forward has a keen awareness of space, time and again positioning himself dangerously in the final third. Lewis is marked out by the way he collects the ball. It’s almost as if his feet are in a tangle. One misstep and he would fall. It seems like a miracle that he is able to collect the ball cleanly enough to shoot or pass. It would be easier to lose a second or two as he controls the ball. Once he is able to sort his legs out, though, a certain decisiveness covers his demeanour. He seems more aware of what he needs to do and rarely does he not accomplish the task. The exaggerated movements while receiving the ball are no longer seen. It’s a smooth, calmer exercise. Such was the case when he scored on Saturday. Kean Lewis swept the ball home with aplomb. It was one of those rare moments when Dynamos fans made themselves heard. In that moment, Dynamos were in control. But the grip was loosened in the second half. Faced with an opposition that would not rest easy, Zambrotta’s men found themselves overpowered. For a while it seemed that everything will be relinquished. But before things got any worse, Dynamos worked their way back into the match. It was once again admirable to see the team battle in adversity and come out looking well. For the second straight game, Dynamos had not crumbled. But in the moments when NEUFC was dominant and its fans roared, there were no home comforts for Zambrotta and his charges. The first home game of the season did not seem so. Rather, it felt like an extension of the two away matches that Dynamos had played before. Perhaps, the tense atmosphere induced mistakes. The mislaid passes and other errors, particularly in the second half, will give hope to future opponents. Although the draw was not a bad result, one could not help but feel that Dynamos’ mask has slipped a bit. However, there remain plenty of things to draw optimism from. Kean Lewis is one of them. 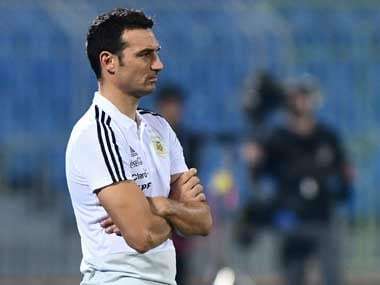 Zambrotta’s tactical interventions may bring more such positives in the weeks to come. The manager was satisfied with his team’s performance on Saturday. For what felt like an away match at times, perhaps a point was satisfactory.